The 2019 model year marks the fourth one for the Honda HR-V, which is one of the youngest subcompact crossovers sold in the North American market. At this stage in its production history, the vehicle gets a facelift, with the Sport and the Touring added to its trim lineup. In ascending order, the 2019 Honda HR-V is available in LX, Sport, EX, EX-L, and Touring trims. Under the hood of the 2019 Honda HR-V is a 1.8-liter inline 4-cylinder engine that has a total output of 141 horsepower and 127 lb-ft of torque. It is hitched to a continuously variable transmission (CVT), which eschews the energy-consuming gear-shifting mechanism of traditional transmissions for a smoother and more fuel-efficient ride. You can either go with a front-wheel drivetrain to achieve the vehicle’s peak fuel economy numbers or the all-wheel-drive system for better all-weather driving performance. If you go with any trim above the base-level LX, Honda will add dual-mode paddle shifters with the CVT for increased operational convenience. With two rows of seats for a maximum occupancy of five, the 2019 HR-V gets front-seat heating ability on the EX, leather seat trim on the EX-L and 8-way power adjustability on the driver’s seat on the Touring. Passenger volume is measured at 100.1 cubic feet on the LX and Sport and 96.1 cubic feet on the other three trims. Cargo space is set at 23.2 cubic feet, with the option of maximizing it at 57.6 cubic feet if the rear seats are folded. Standard comfort and convenience features on the HR-V includes cruise control, remote keyless entry, Bluetooth wireless connectivity, a four-speaker 160-watt audio system, a USB port and auxiliary audio jack for playing media from smartphones, and a 5-inch color LCD screen. 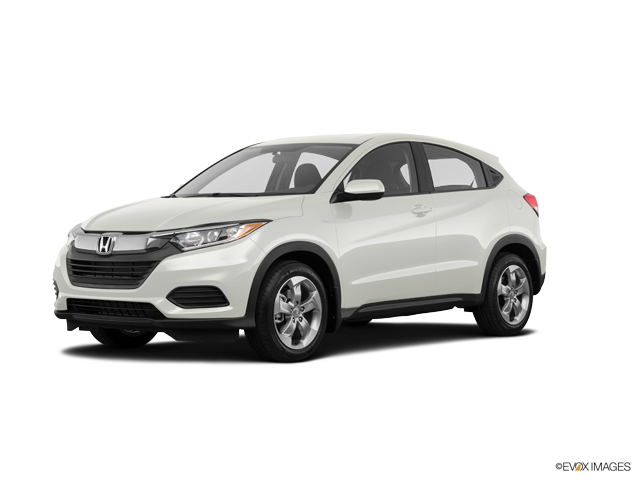 At the Sport trim level, Honda enhances the HR-V with features such as Active Noise Cancellation technology, a six-speaker 180-watt audio system, an additional USB port, HondaLink remote connectivity, and hands-free text messaging. In addition, the Sport trim debuts brand-new features for 2019, which are a 7-inch color touchscreen and Apple CarPlay and Android Auto smartphone integration. The EX trim gets enhancements and additions such as automatic climate control, HD Radio technology, and complimentary access to SiriusXM satellite radio. An auto-dimming rearview mirror is added at the EX-L trim level. And unique to the Touring is a garage-door opener and a voice-activated 7-inch touchscreen navigation system. Standard safety features on the 2019 HR-V include six airbags, a multi-view monitoring camera, electronic vehicle stability control, traction control, four-wheel anti-lock disc brakes, electronic brake-force distribution, brake assist, hill start assist, LED daytime running lights, and a theft-deterrent system. At the EX trim level, Honda introduces LaneWatch for lane changing guidance, as well as Honda Sensing®, which is new for the 2019 model year, for functions such as adaptive cruise control, road departure mitigation, lane keeping assist, forward collision warning, lane departure warning, and collision mitigation braking. 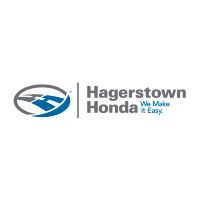 To find out more about the 2019 Honda HR-V, call us today at our dealership in Hagerstown, which has a reputation for providing excellent customer service (as evidenced by Google and DealerRater.com. One of our Honda experts will be able to work with you to get the HR-V that’s perfect for you.